Every virus infection you have ever contracted can now be detected by a new test developed by US scientists. Humans can succumb to tens or even hundreds of viral infections over a lifetime. And although the majority are transient, and cleared by the immune system, they may nonetheless have a lasting health legacy, altering the risk that a person will develop certain diseases later in life, like cancer or asthma. Some viral infections might even protect individuals against other conditions as has recently been shown for some members of the herpes virus family, which have been shown to boost the power of the immune system against a range of bacterial nasties. Establishing these relationships, though, has been very difficult, because viruses eliminated by the immune system leave no trace of themselves. They do, however, leave an indelible imprint in our immune memory, which "remembers" how to fight off previously encountered pathogens making them harder to catch again. Now Harvard scientist Stephen Elledge and his colleagues, who have published their work in the journal Science this week, has devised a comprehensive test that can read the immune memory, looking for the footprints of past infections to reveal all of the viral infections a person has encountered in their lifetime. To create the test, the team took more than 90,000 short pieces of DNA unique to over 1000 strains and 200 species of human viruses. These viral DNA fingerprints were individually inserted into a different type of virus called a bacteriophage, which can be prepared in large numbers, with different bacteriophages expressing on their surfaces a small piece of each of the different human-infecting viruses. These bacteriophages are added to a drop of human blood, which contains antibodies made against any infection that the individual has previously encountered. The antibodies will stick only to the bacteriopage particles that have on their surfaces parts of human viruses which have infected that person previously. Extracting just the bacteriophage particles that have antibodies stuck to them, and reading the genetic code they contain, reveals what viruses must have infected that person at some point. The team looked at 569 people to test the system. "The average person had evidence of about ten viral infections," says Elledge. "But two individuals had evidence for eighty four!" The test, which is also very cheap to operate, now means that scientists can begin look for the combinations of former infections that might be linked to specific diseases, and can also be used to screen for important pathogens. It may also inform how we treat, prevent or even attempt to cure the common cold. "What emerges from our study is that the same parts of the same virus keep on cropping up in different people as being very good at stimulating the production of antibodies," explains Elledge. 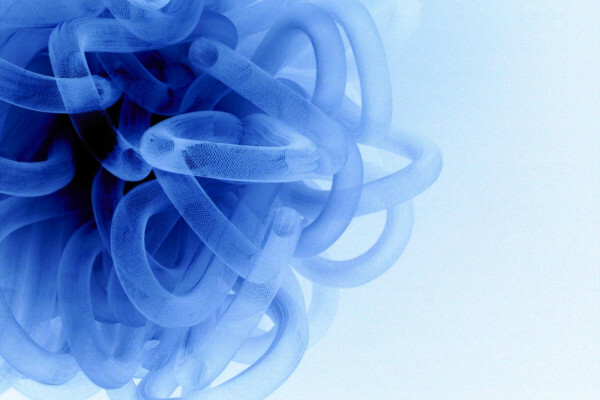 "These might be promising therapeutic avenues..."
Are Pandora viruses a fourth domain of life?